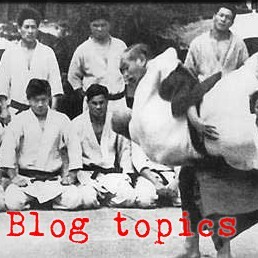 Oshitaoshi is the Tomiki equivalent of ikkyo in aikikai aikido. Tori gains control of uke’s arm at the wrist and elbow and uses it to push uke down to the ground. 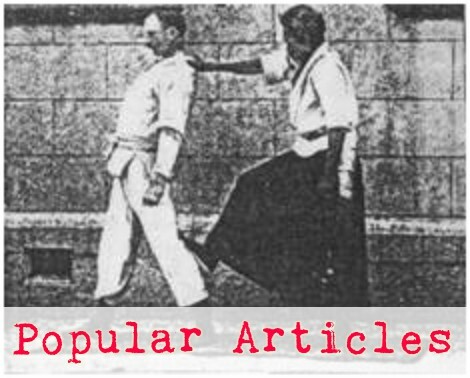 The pin at the end of the technique is known as udeosae gatame, and it introduces the idea of pinning in aikido. Aiki pins are not “hold ‘em no matter what” things, but are intended to make continuation of an attack inconvenient, potentially exhausting, and maybe painful for uke, while tori remains able to give up the pin easily and disengage safely. The pins from seiza seen in aikikai aikido do not appear in our style until much later. Think about oshitaoshi as similar to shomenate – pushing forward through uke’s center – it just so happens that you have his elbow. If you take his balance effectively and move with him then you shouldn’t have to wrestle him to the ground by pushing hard on his arm. If you have to wrestle or push then it's not the right time for oshitaoshi.